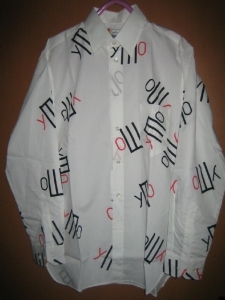 This shirt was also bought at Yukihiro Takahashi's store in YMO at the front for more than 20 years. I think it won't be possible to get any more now. It'll be impossible to get but it's found by an auction.